Marvell of the USA have announced a sub $100 (projected sub $50!) 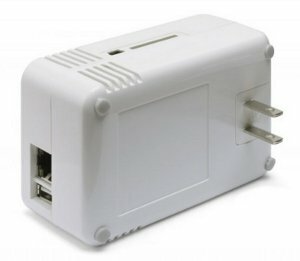 computer built into a ‘power-brick’ or ‘wall wart’. Bascially, the device is the size of a regular plug-in power adaptor and does just that; it plugs into the mains socket and runs. It’s power consumption is supposedly about 5 Watts. Marvell already claim linux distributions to be running on the device and the possibilities for utilisation seem endless. The $99 “development kit” is effectively a pre-release model and I’m really tempted to order one in to see what I can make of it.